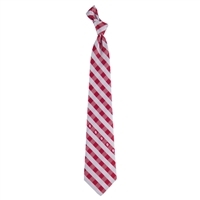 Rep your favorite team with this simple yet stylish OU tie. 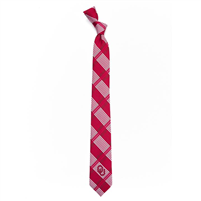 Show your Oklahoma Sooner Pride with this fashionable multi-pattern OU tie! 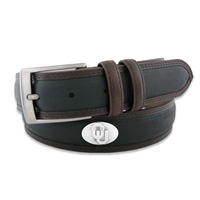 Show off your Oklahoma Sooners school and team spirit with this casual leather two toned belt. 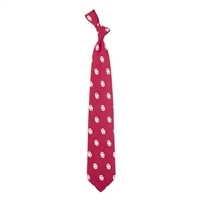 A perfect way to accessorize any casual fashion look or gameday event. 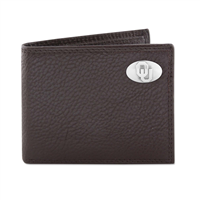 This genuine leather belt features a brown and black two toned leather finish and silver gun metal buckle. Decorated with 4 silver gun metal conchos throughout the belt. Fits shorts and pants that have a minimum loop size of 1.25 inches. Belt size is one size larger than pant size. 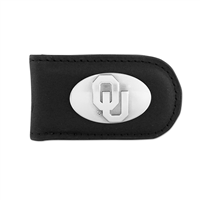 University of Oklahoma watch with black stainless steel adjustable* bracelet and 44 mm case.